Barnsley 1 Millwall 0, 22/02/2014. Oakwell, Championship. Millwall make the journey from south London to South Yorkshire for a Championship relegation battle with Barnsley. 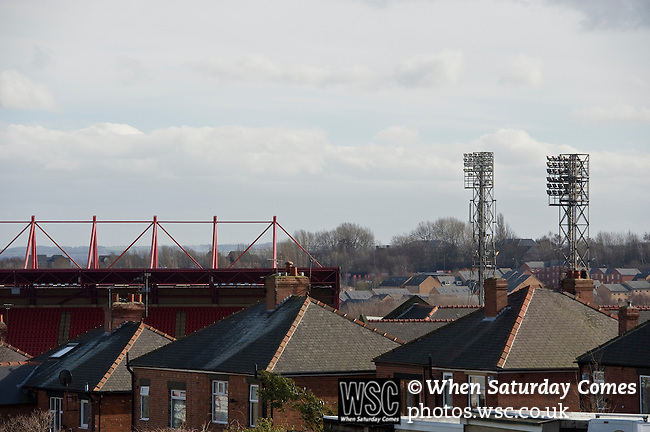 Houses on Belgrave Road with Traditional floodlights and Oakwell's the West Stand on the skyline. Photo by Simon Gill.